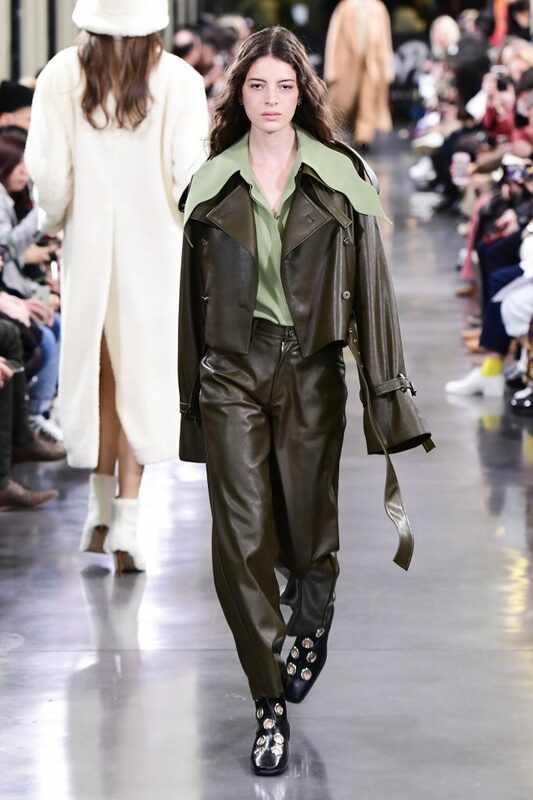  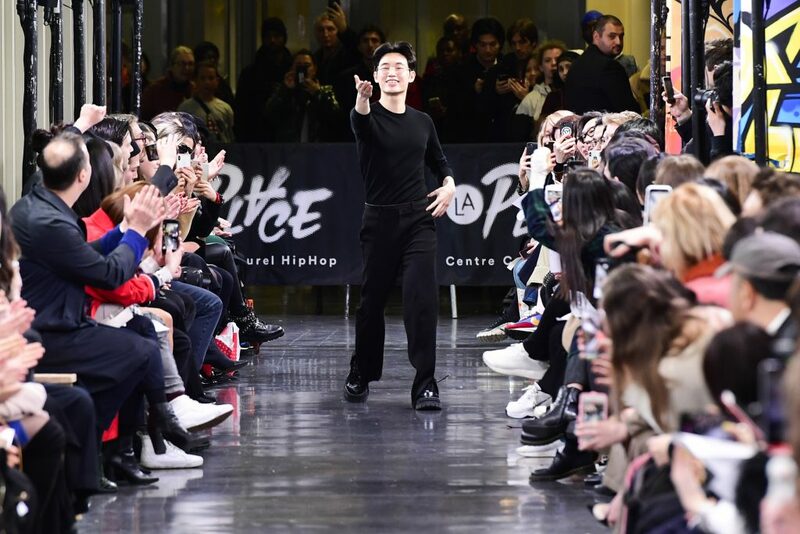 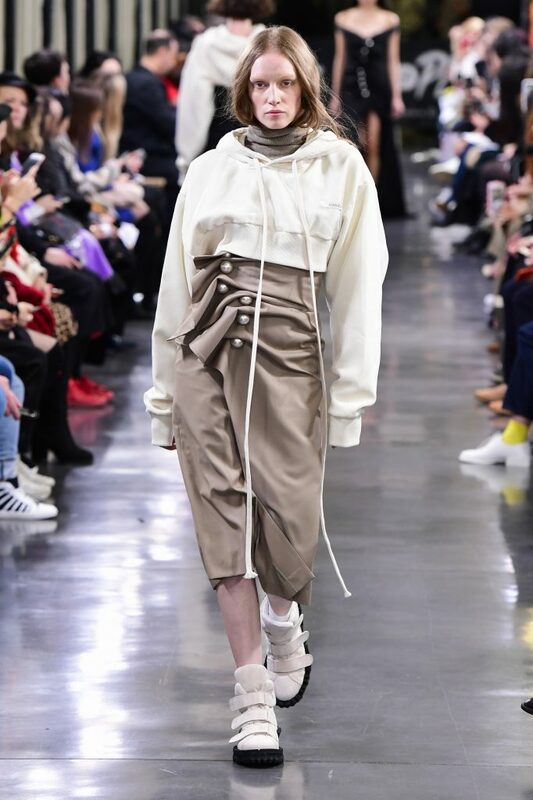 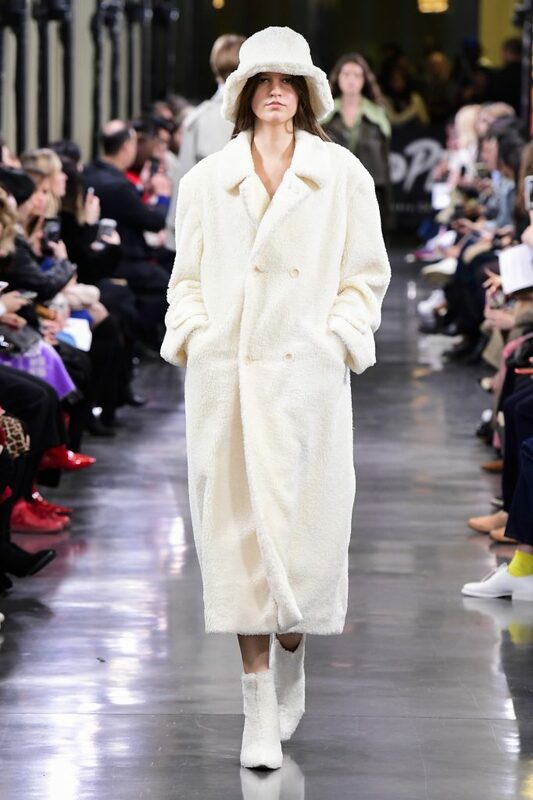 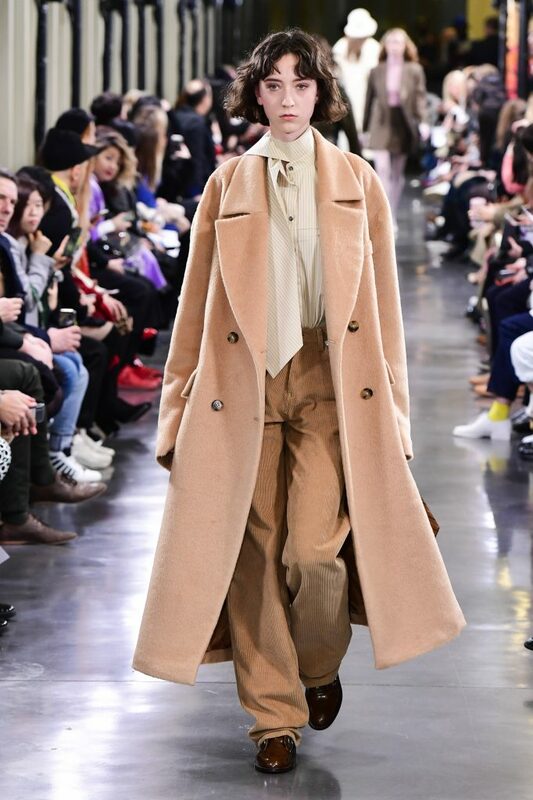 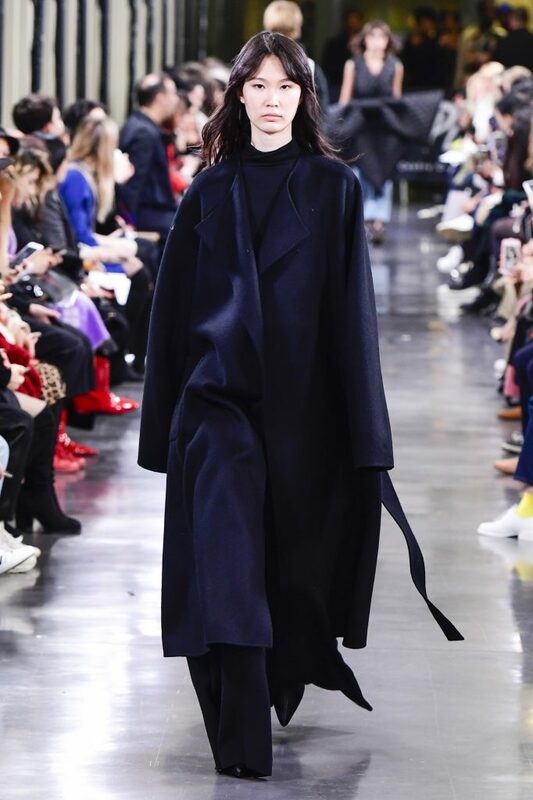 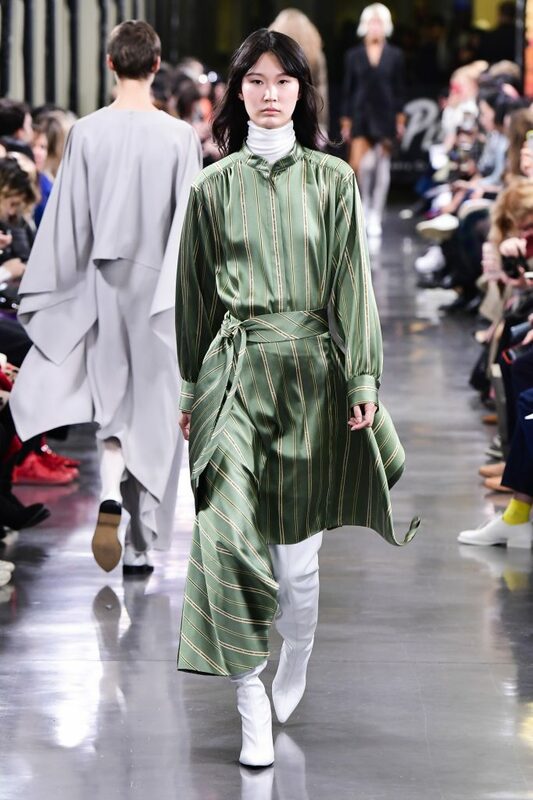 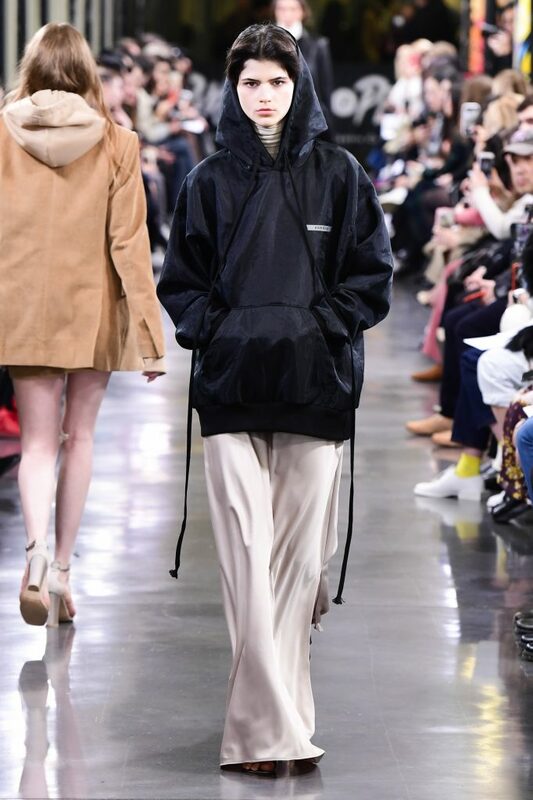 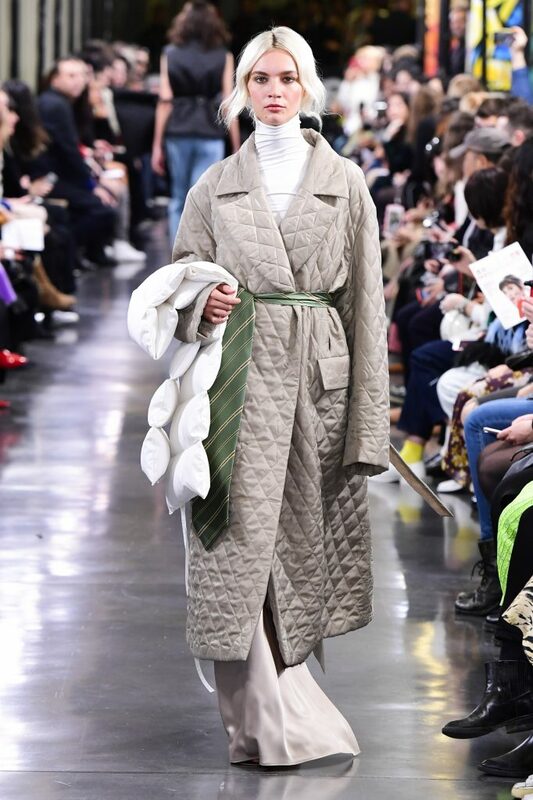 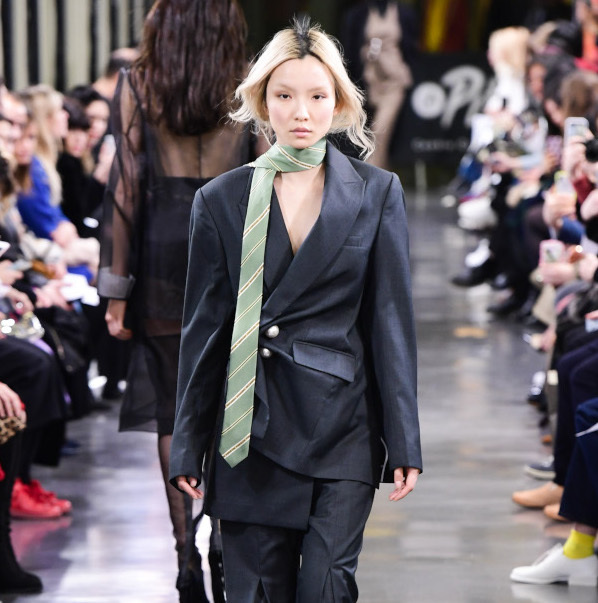 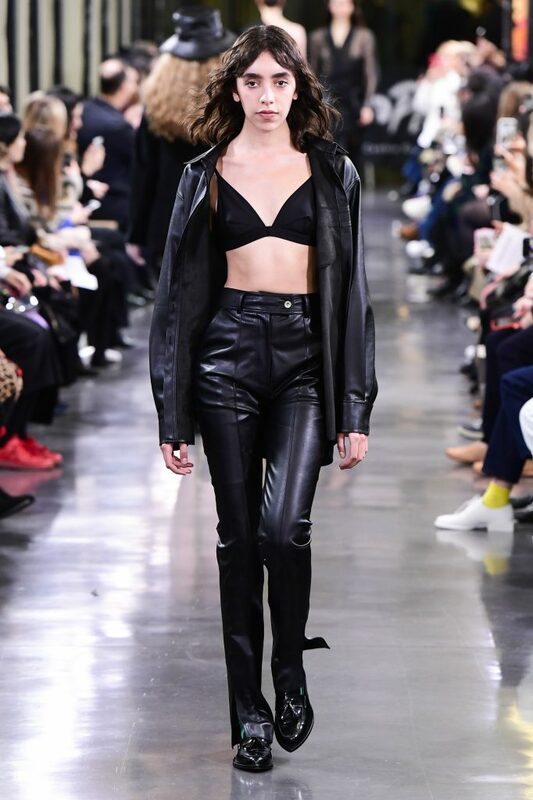 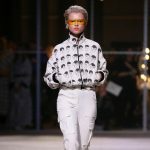 Kimhékim, a Korean fashion brand founded in 2014 and created by Kiminte Kimhekim, presented their first runway collection at Paris Fashion Week with a few elements leading the collection’s theme: Late 90’s idols / Uniform culture / Neo-Couture / Korean traditional costume. 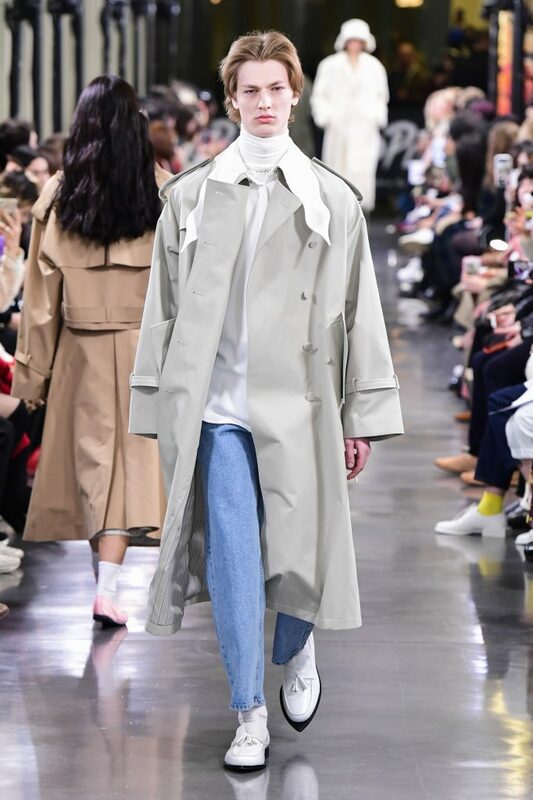 Reference of the late 90’s is mainly about the pop culture that is the new nostalgia of current generation. 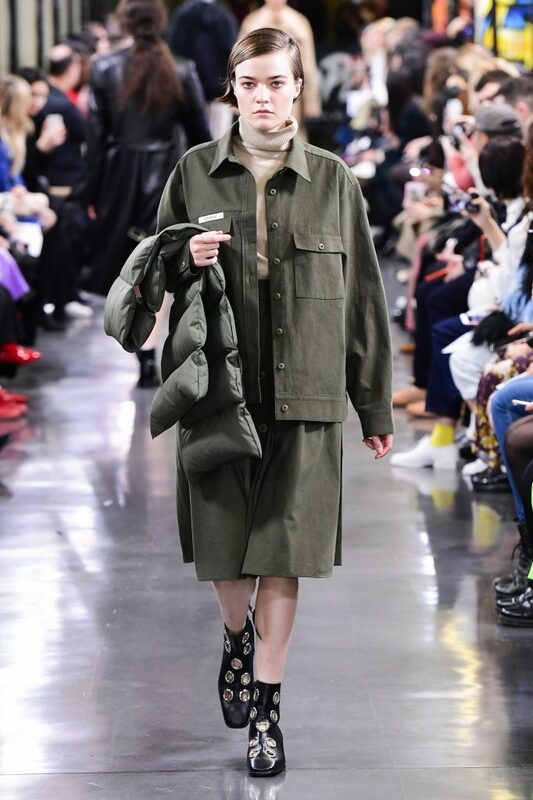 Uniform culture is referred to personalising uniforms – a main issue for young students in Korea. 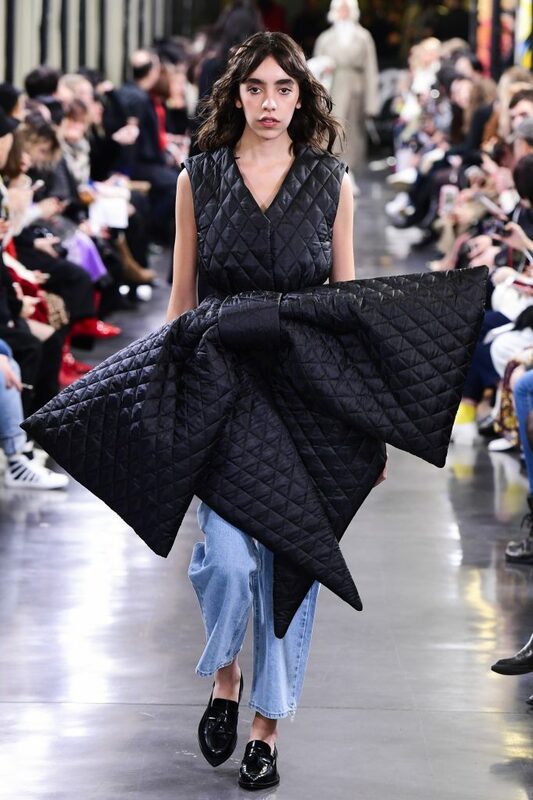 There is the beauty in this irony of everyone trying to be different in the midst of group life. 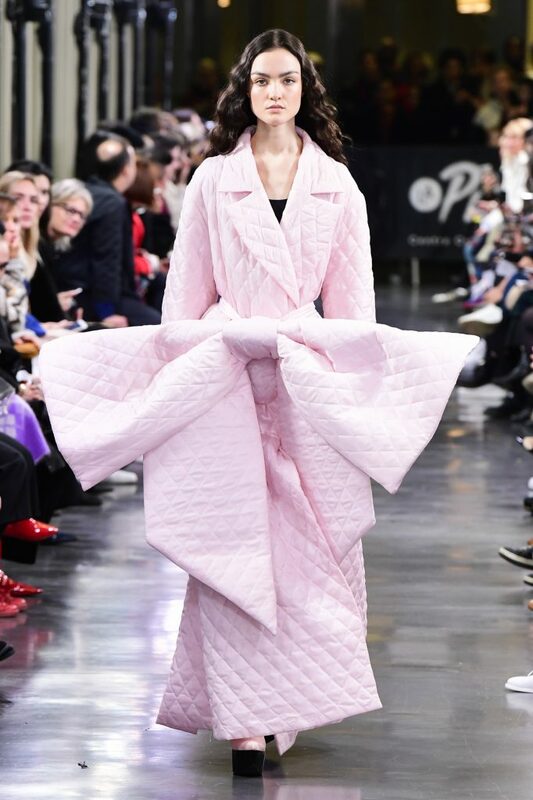 Neo-Couture is explored in draping, pearl details widely known as the VENUS series – the new interpretation of haute couture that has asymmetric cuts and elements and combinations of fabric. 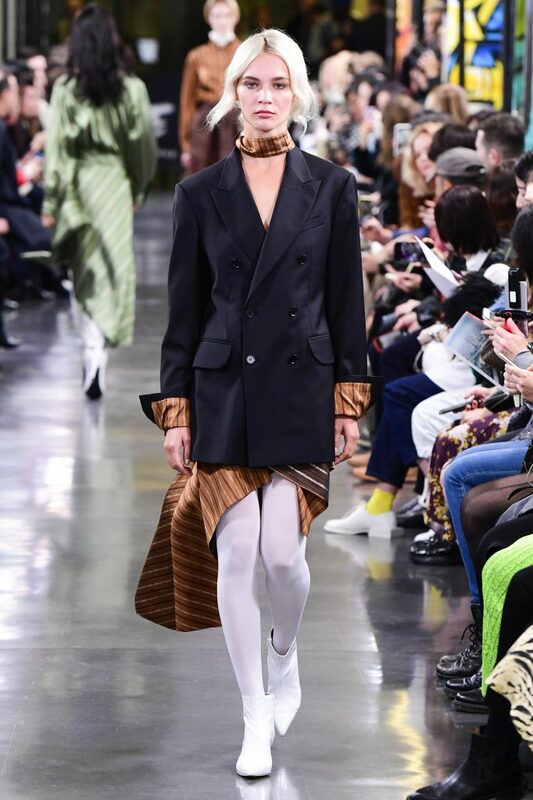 Neo-Korean traditional costume is putting the puzzle together – mixing colours and classic Korean fabrics such as organza, with leather and silk. 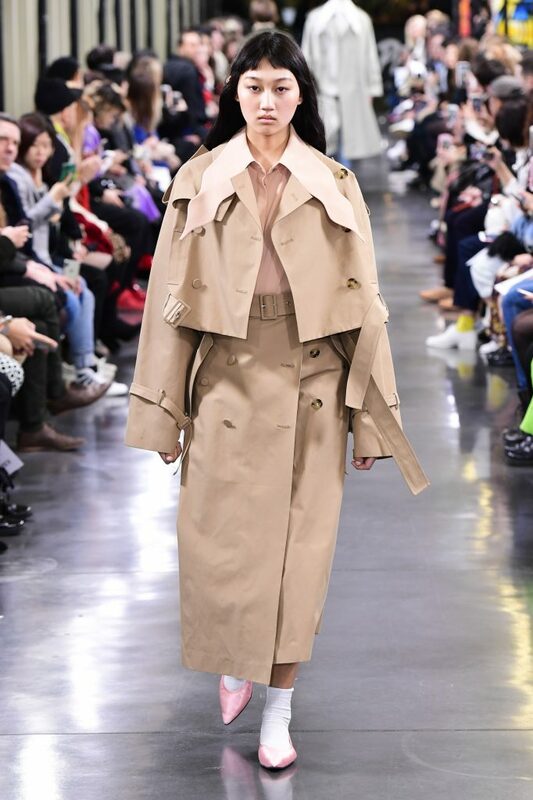 The designer gained his experience at Balenciaga where he learned his attitude torwards artisanship, which is very evident in the detailing. 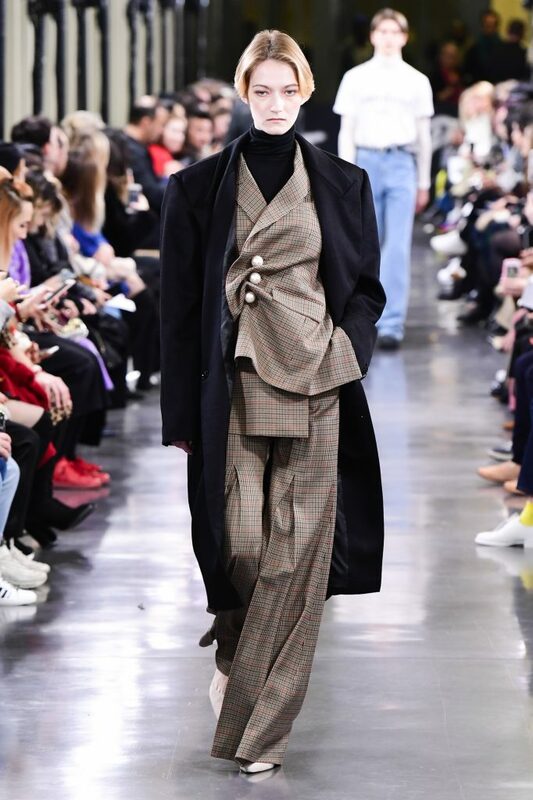 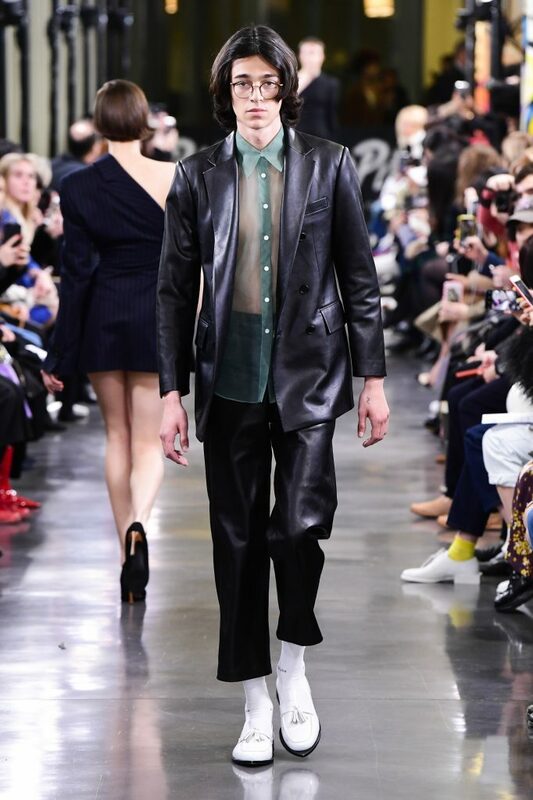 Presenting modern tailoring, oversized outwear and extra large bows re-creating traditional silhouettes.